The greatest challenge most people face when they have been stripped of their God-given right to have time with their children is not knowing how to combat this in the family court system. Most target parents hire a lawyer who has been trained to practice the finite narrow issues of the law and to not focus on any allegations that their client has been falsely accused. Attorneys do this out of fear and lack of training on how to defend these types of allegations. They are also dealing with judges who have a confirmatory bias and most attorneys have this bias themselves. This phenomenon does not happen based on your attorney not wanting what is best for you it happens based on the very known fact that family law attorneys are not educated in the form of defense. Family court is a unique branch of law where the evidence of criminal law and rules don’t apply. They want to look at what is “in the BEST INTEREST of the child”. The judge lets his bias rule. Family law attorneys know this and, therefore, they feel that some time with your child, even if it is supervised is a win for them and you. Most attorneys also fear, if for some reason you were abusive and something happened to your child while in your care, that this might fall on their shoulders so they are compelled to do what they always have done. This fear-based practice in family law continues to spiral out of control while good parents are missing opportunities to spend time with their children, having an active role as a parent like they once had when their marriage was intact. So many attorneys just want to focus on the reason why their clients are good parents and the fact that they are right. Because they are right, attorneys feel their clients should have time with their children, they would prefer unsupervised but will settle for supervised because of the confirmatory bias that has not been addressed in court. This lack of properly defending their client come from prior experience in the family court system. They have a preconceived notion of what is going to happen and so they practice law accordingly. Unfortunately, the family court system was not designed to look at what is right and what is wrong. The family court system is designed to look out for the best interest of the child. If you are a target parent of Parental Alienation and you have been falsely accused of some type of abuse it is your job to prove to the court not only that you were falsely accused but MORE IMPORTANTLY that you were falsely villainized by the other parent. Being right in this situation will not get you more time with your child. It will at best only help you take one small step in the family court. What usually happens is you feel vindicated for a brief period of time only to realize that you still have not achieved your goals. BEING RIGHT AND INNOCENT DOE NOT MEAN A VICTORY IN FAMILY COURT. IT DOES NOT MEAN MORE TIME WITH YOUR CHILD. If you are a target parent of Parental Alienation and you have been falsely accused of some type of abuse it is your job to prove to the court not only that you were falsely accused but MORE IMPORTANTLY that you were falsely villainized by the other parent. Being right in this situation will not get you more time with your child. It will at best only help you take one small step in the family court. What usually happens is you feel vindicated for a brief period of time only to realize that you still have not achieved your goals. BEING RIGHT AND INNOCENT DOES NOT MEAN A VICTORY IN FAMILY COURT. IT DOES NOT MEAN MORE TIME WITH YOUR CHILD. Understanding this is a very IMPORTANT detail of your case. This will help start you in the right direction in hiring the right people for your team. There are a couple of key components here that are vital to ensure that you have the right people on your team, looking out for you and your relationship with your child. Let me first state that if there is bona fide child abuse then this MUST be ruled out before Parental Alienation can be found. Using these strategies will only work if there is, in fact, provable evidence that there was not abuse. The first step in defending yourself in court is to hire the right attorney. If this family law professional is not well versed in Parental Alienation, they can be trained to understand the importance of this phenomenon called Parental Alienation. Most attorneys don’t want to recognize Parental Alienation as a topic of discussion let alone a means of defense. So if you go in saying you are a victim of Parental Alienation most, if not all, attorneys will either dismiss this or they will agree but tell you there is nothing you can do about that, the court does not recognize Parental Alienation as a viable means of defense for custody and may insist on another tactic. DO NOT ALLOW THIS TO HAPPEN! The Proof of who you are as a parent and why the accusations of abuse are false lie in your hands. It is important to remember that your relationship with your child is most important to you, therefore, it is you who has to do most of the work to prepare your legal team. They are not the experts on your relationship with your child YOU ARE! So you MUST educate your legal team. 1. Before you meet with an attorney it is best to go into your first meeting prepared with your defense. Do not rely on your attorney to provide this for you. Remember it is your relationship and your time with your child it is most important to you. There are some very important questions to ask your attorney before you have them represent you. You can see these questions at this blog post http://getmoretimewithyoukids.blogspot.com/2008/11/10-questions-to-ask-attorney-when.html. Once you are comfortable with the outcome of these questions you a ready to hire your attorney and get them prepared for your case. The next six steps will help you hone in on the finite details of your situation and provide you and your legal team the tools needed to take your case to court. 2. Create a chronology or outline of everything great or small that the alienating parent has done over the timeframe of which you have been separated to denigrate you and to villainized you to your child and to the court. Be specific. This one document could be the lifeline to your case. The more detailed you are the more detailed your attorney can be for you in court. Spend time with family and friends going over these things to jog your memory. Be honest. If you can’t remember don’t make things up. If you are truly being alienated from your child there will be plenty of evidence to support your claim. If you are unfamiliar with the passive aggressive behaviors of an alienating parent spend some time researching those behaviors. I guarantee you will read plenty of things that will direct you in preparing your chronology. 3. Once you have hired your attorney and they are prepared to defend you in court and they understand that you are not just wanting to prove that you are right but that you have sufficient evidence to prove that your ex is villainizing you and trying to destroy your relationship with your child. Hire an evaluator who can interview you and be an expert witness for you. This evaluator is someone who understands that there are clinically proven characteristics of a violent on even non-violent child abuser. There are also characteristics of a domestic violence abuser if this is what you are being falsely accused of. This expert is well versed in these behaviors and there is a standard evaluation process that happens to prove that this is not only not you’re the characteristics of your behavior now it was not how you behaved when you were married. If there were times when your child was left in your care when you were married without fear from your ex this needs to be exploited in court. 4. Be sure that the summary of witnesses has been interviewed and reviewed by both you and your attorney. So many times the falsely accused parent goes into court without having all of their witnesses interviewed, without reviewing what the other witnesses had to say and without giving their attorneys the proper tools to combat these false allegations. The court and everyone involved from the child evaluator to the therapist and even your own attorney will err on the side of caution. Some will not even evaluate the interview of the child if the allegations are false. In most instances, the child is claiming abuse with leading questions in the interview with the evaluator. These interviews are always recorded and more often than not this one piece of evidence is enough to prove that you are not abusive. You must demand that you have the opportunity to review the summary motions list of witness and affidavits of both sides as well as reviewing the evaluator’s interview with your child. 5. Once you have gotten your attorney and your evaluators to see that you have been villainized by your ex to destroy your relationship with your child, it is key to be sure that they are prepared to go into court on your behalf with as much passion and conviction as you to get the judge to IDENTIFY with you being falsely accused. Having a judge empathize with you here is imperative to the success of your case. Your goal again is to not proof that you are right and that you are innocent you goal is to prove that you have been villainized by your ex. This is the necessary component to having time with your child. 6. 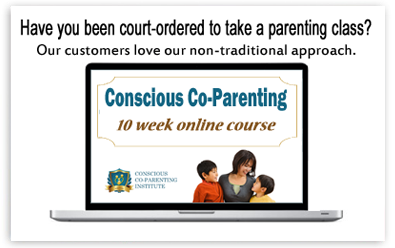 Once you have gone through all of the case preparation for your defense against the false accusations you need to take your case a step further and go into court with the assumption of the only outcome possible which is the parenting arrangement you desire that truly is in the BEST interest of your child. Prepare this parenting plan with as much detail and care as if your very life depended on it or more importantly the life of your child depends on it. Once you have gotten the judge to empathize with you, to feel your pain and the pain of your child. Then you move on to the next step. Waiting for the judge or your attorney to decide what is best will always result is an undesired result. Tell them what is best. Show them why it is best. BE prepared. The judge is not going to place your child into your custody or give you more custody unless you show him or her you are prepared. The end result is, of course, you have successfully turned your case of Parental Alienation around and taken control of your life and your relationship with your child. These tasks are not impossible; they may be difficult, but not impossible and even in severe cases of Parental Alienation there is hope. Remembering that this is a VERY emotional process and remembering the hurt and the pain of being alienated from your child will most likely be one of the worst pains you ever feel. Just remember they are being brainwashed they really don’t know why they are behaving the way that they are, and DON”T TAKE ANYTHING PERSONALLY! Unconditional love is not a two-way street. This is not an easy task and this cat won’t be skinned by traditional conventional family law practices is important. It will be skinned by stepping out of the box. Taking charge of your life and your relationship with your child. It will happen by taking victim out of your vocabulary. There is no room for a victim in your family life with your child. There is only room for the unconditional love that you were put on this earth to give to your child when you made the decision to bring that child into this world. Your child and you deserve nothing less than a healthy, loving relationship and in order for you to have that you MUST be proactive and work with a competent team that has been educated by you about your specific situation. You can try to do these things on your own or you could hire a coach to mentor you and guide you through this process to assist in maximizing your results.